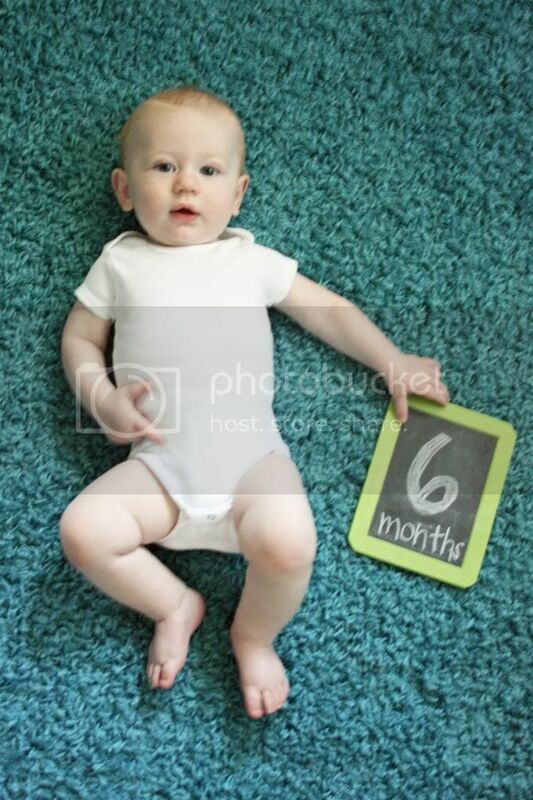 Jordy Liz Blogs: Dear Liam, You are six months old. Dear Liam, You are six months old. It's been half a year since we welcomed you into our little family. Half a year. Has that registered with you yet? Because it hasn't for me. You are exhausting in the best way possible. You never stop moving. Ever. Not even for a minute. Thanks to your need to be active all the time, you started sitting up right after you turned five months. Within a week, you were on your hands and knees, rocking back and forth. Just yesterday, you took your first few crawling motions. You crawl, then army crawl, then crawl, then army crawl, and it gets you to wherever you need to go fast. I'm scared at just how fast that is. You've definitely become a sucker for your mom and dad. If either of us are in the room, you throw your hands at us and start grunting until we come to your rescue. Some days, you even have a preference of one of us over the other. You are still crazy obsessed with Mia. If she's in the room, your eyes are on her, watching her every move. You grab her, "pet" her, squeal at her, and do everything you can to just get close to her. Unfortunately, she's faster than you... for now. You started solids the other week and you've turned into a bottomless pit. For such a long and lean boy, you can definitely take food and bottles down. You can spy a bottle from across the room - literally - and you make it known that we need to get it to you as fast as possible. Thankfully, you are still sleeping so well. Just last week, you started going down closer to 7 p.m. as opposed to 8 - 8:30 p.m. You are also sleeping in closer to 7 a.m., if not later, as opposed to our usual wake-up calls of 5:45 - 6 a.m. Those extra hours have made such a difference in all of us. Thank you, thank you, thank you. Your long nights of sleep mean that you don't nap nearly as long as you used to, which can make for tiring days. But I'll take it. Over this last month, you've cut your two bottom teeth! It's cute to look at, but not so cute when you think it's still okay to chew on our hands. Ouch. On the long days when you are particularly fussy (probably due to those teeth), I put you in the car and we go run meaningless errands. You're so calm in the car seat and when you're out and about. You're loving shopping carts and just watching the world around you. You're so fun, little boy. We all made it through half a year. I can't wait for the next half.